Within your subconscious depths lie infinite wisdom, infinite power, an infinite supply of all that is necessary. It is waiting there for you to give it development and expression. If you begin now to recognize these potentialities of your deeper mind, they will take form in the world outside. Provided that you are open-minded and receptive, the infinite intelligence within your subconscious mind can reveal to you everything you need to know at every moment of time and point of space. You can receive new thoughts and ideas, bring forth new inventions, make new discoveries, create new work of art. The infinite intelligence in your subconscious can give you access to wonderful new kinds of knowledge. Let it reveal itself to you and it will open the way to perfect expression and true place in your life. Through the wisdom of your subconscious mind you can attract the ideal companions as well as right business associate or partner. It can show you how to get all the money you need and give you the financial freedom to be, to do and to go as your heart desires. It is your right to discover this inner world of thought, feeling and power of light, love and beauty. Though invisible, its forces are mighty. Within your subconscious mind, you will find the solution for every problem and the cause for every effect. Once you learn to draw out these hidden powers, you come into actual possession of the power and wisdom necessary to move forward in abundance, security, joy and dominion. Your subconscious mind is principle. It works according to the law of Belief. You must know what belief is, why it works, and how it works. “whatsoever shall say unto this mountain, be thou removed and thou cast into the sea, and shall not doubt in his heart, but shall belief that those things which he saith shall come to pass, he shall have whatsoever he saith. The law of your mind is the law of belief. This means to believe in the way your mind works, to believe itself. The belief of your mind is the thought of your mind, just that and nothing else. All your experiences, events, conditions and acts are produced by your subconscious mind in reaction to your thoughts. Remember it is not the things believed in, but the belief in your own mind that brings about the result. Stop accepting the false beliefs, opinions, superstitions and fears that plague our human kind. Begin to believe in the eternal varieties and truths of life that never change……. At that point you will move onward, upward and Godward. Your prayer is answered according to the universal law of action and reaction. Thought is incipient action. The reaction is the response from your subconscious mind that corresponds to the nature of your thought. Fill your mind with the concepts of harmony, health, peace and goodwill, and wonder will happen in your life. Imagine your subconscious mind as a bed of rich soil that will help all kind of seeds to sprout and flourish, whether good or bed. If you sow thrones you get throne. If you sow grapes you will get grapes. So begin now to sow thought of peace, happiness, right, right action, goodwill and prosperity. Think quietly and with conviction on these qualities. Accept them fully in your conscious reasoning mind. When your mind thinks correctly, when the thoughts deposited in your subconscious mind are constructive, harmonious and peaceful, the magic working power of your subconscious mind will respond. It will bring about harmonious conditions and agreeable surroundings and the best of everything. Once you begin to control your thought process, you can apply the powers of your subconscious to any problem or difficulty. And you will actually be consciously cooperating with the infinite power and omnipotent law that governs all things. We all live in an unfathomable sea of infinite riches. Your sub-conscious is very sensitive to your conscious thoughts. Those conscious thoughts form the matrix through which the infinite intelligence, wisdom, vital forces and energies of your subconscious flow. Shape that matrix in a more positive direction and you redirect those infinite energies to your greater benefit. 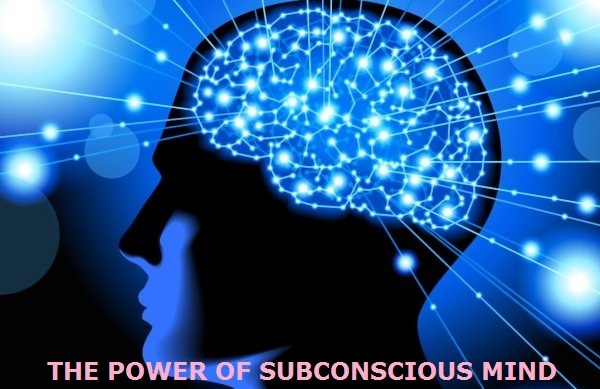 Most of the great scientists, artists, poets, singers, writers and inventors have had a deep understanding of the working of the conscious and subconscious mind. It was this that gave them the power to accomplish their goals.